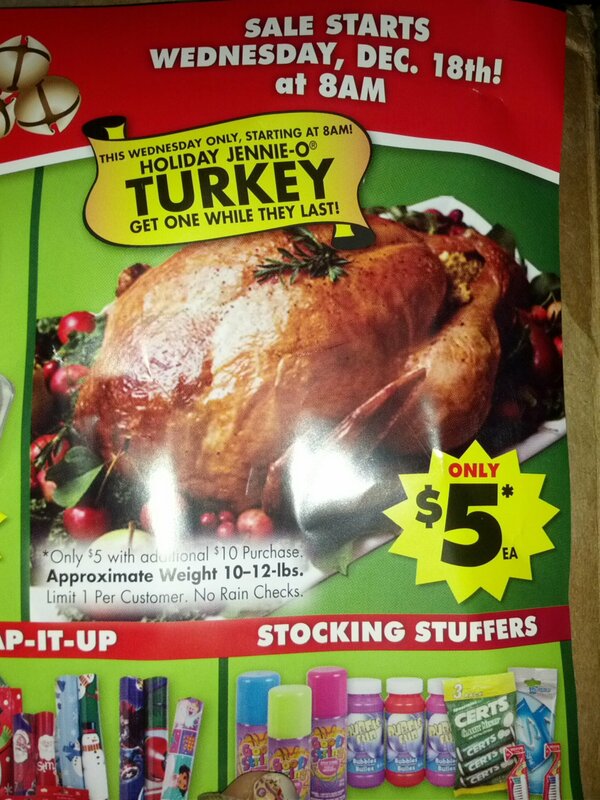 $5 Turkeys at Deals on Dec 18! Only $5 with an additional $10 purchase. Approximate weight 10-12 lbs. Limit 1 per customer and no rain checks. This is at Deals starting Wednesday, December 18th at 8am and will go quickly so get there early! Check out their website for locations!